Animal charities, trading standards and the Scottish Government have joined forces to launch a new campaign aimed at bringing an end to the “evil” puppy farming business. 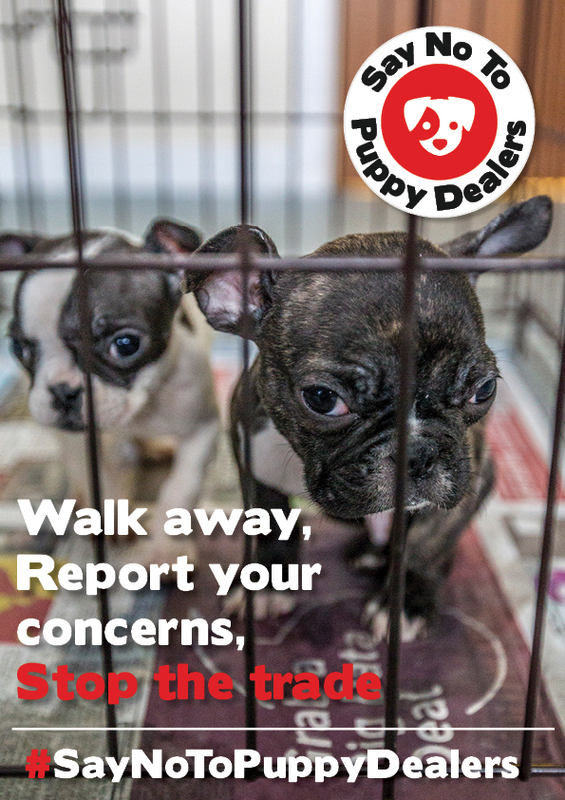 Sales of pups from illegal factories are estimated to have netted £13 million in Scotland last year alone. While the Scottish SPCA said organisations working to tackle the “damaging” and “evil” industry had had some success individually, it stressed they now needed to work together and adopt a unified approach. The new www.saynotopuppydealers.co.uk website has the backing of the Scottish Government, Edinburgh Dog and Cat Home, the RSPCA, Battersea Dogs trusts, Trading Standards Scotland, the Blue Cross, OneKind, the British Small Animal Veterinary Association (BSAVA) and the University of Edinburgh. The Scottish SPCA teamed up with staff at the university to research the impact puppy farming can have on dog behaviour. Chief executive Kirsteen Campbell said: “Our research showed that puppy-farmed pups are more likely to have a genetic disorder and are more at risk of deadly infectious diseases such as parvovirus, which can cost up to £4,000 to treat. “The Scottish Government estimated that the illegal puppy trade was worth a conservative £13 million last year in Scotland alone – and that doesn’t include the thousands of pounds in vet bills paid for by unsuspecting new owners. “The growing illegal trade is, put simply, organised crime and at present there is little deterrent. Environment Secretary Roseanna Cunningham said: “I would encourage everyone to consider whether they could provide a ‘forever home’ to a dog in an animal shelter in Scotland, rather than buying a new puppy, and if they still want a puppy to buy one directly from the breeder where they can see the puppy with its mother. “The arrival of a new puppy should be a happy time but irresponsible and illegal breeding can lead to hefty vets’ bills and even heartbreak for owners. Edinburgh Dog and Cat Home chief executive Howard Bridges said: “The launch of the #SayNoToPuppyDealers website is a welcome step forward in the fight against puppy farming, which is having a devastating effect on animal welfare in Scotland.